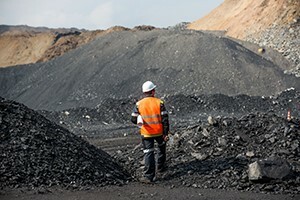 The National Institute for Occupational Safety and Health (NIOSH) will begin offering free, confidential health screenings to coal miners this month as part of the Coal Workers’ Health Surveillance Program (CWHSP). The testing will look to detect coal workers’ pneumoconiosis (CWP). CWP is a lung disease caused by the inhalation of coal dust. CWP usually has no symptoms, but can lead to progressive massive fibrosis (PMF). NIOSH will provide testing in their state-of-the-art mobile units. Testing began April 8 in Grants, New Mexico and will continue through May 31, 2019. Tests will take place throughout coal mining regions in the western part of the United States, including New Mexico, Colorado, Arizona, Utah, Wyoming, Montana, and North Dakota. The screenings will include questionnaires, a chest radiograph, spirometry testing, and blood pressure screening. All results are confidential and will not be disclosed publicly. For announcements on where the mobile unit will be, you can check their website, Facebook, or Twitter for updates.